Cut the king oyster mushroom into small pieces. Add some salt to let the mushroom dehydrate naturally. Mix the seasoning with the mushrooms. Boil the water with some salt and seasame oil. 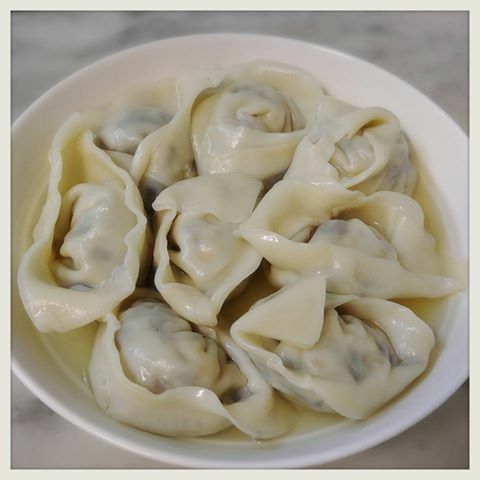 Add the wonton to cook for 2-3 until float. Special thanks to Moni Wong for the recipe.